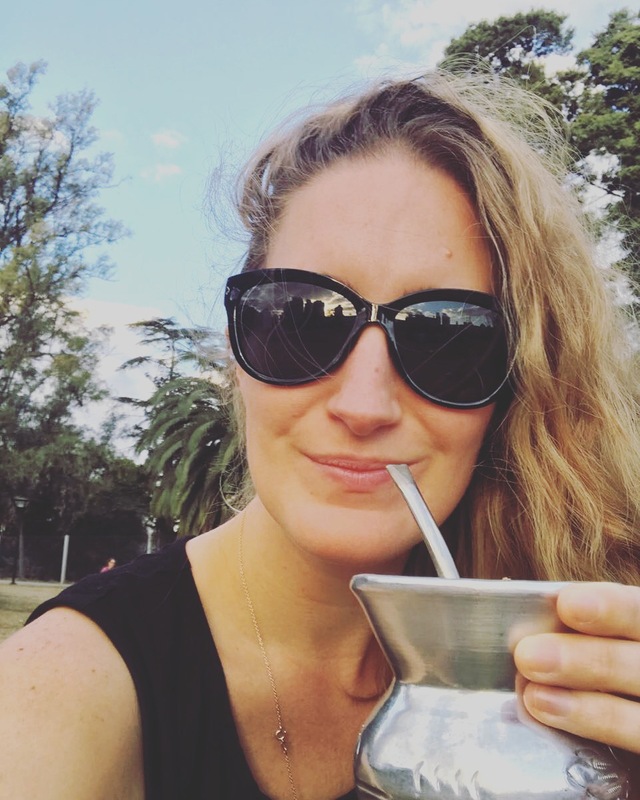 Argentina and coming home early…. 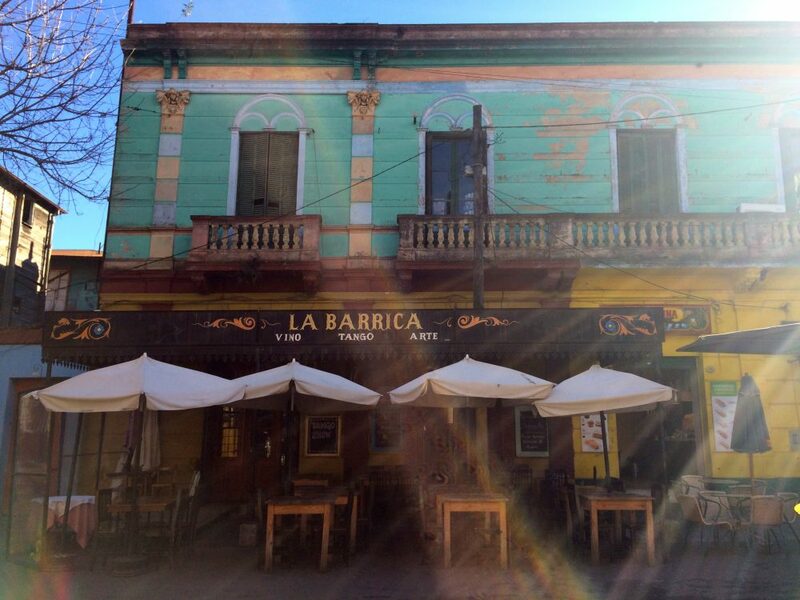 La Boca barrio in Buenos Aires, the birth place of Tango. 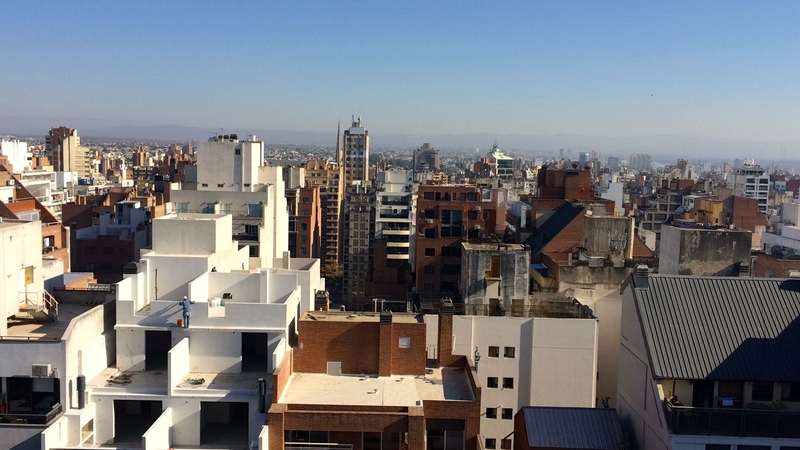 I landed in Argentina on the 13th June from Bolivia, into Buenos Aires, not realising that this would be the last country on my round the world trip. One thing I never foresaw when I was travelling was the prospect of having to come back home early, especially due to my health. I had planned to travel another few months, onto Colombia, Costa Rica, Cuba and the US with New York being my last stop. Sadly the pain in my back was becoming a lot worse and once I arrived in to Argentina I knew I would have to sort this out before continuing anymore travelling. 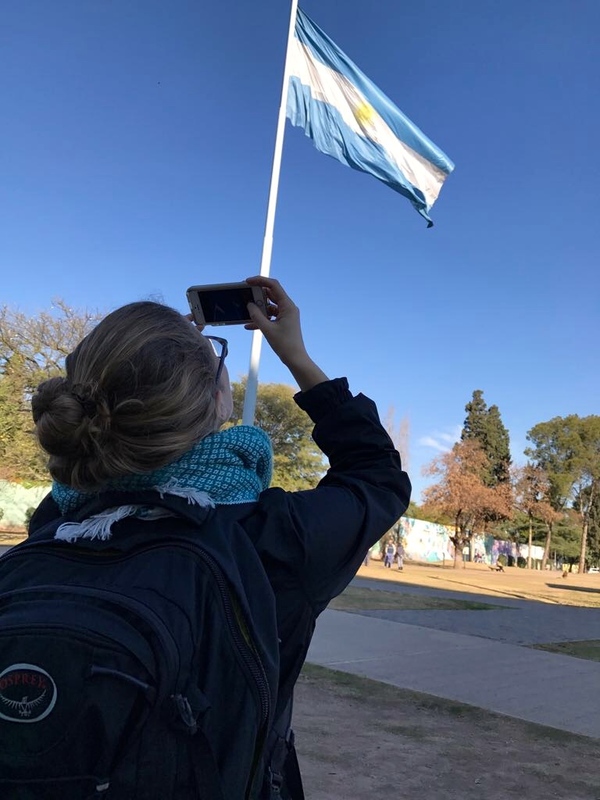 Snapping photos of the Argentinian flag. Looking back on all this now, it makes me realise how I probably would have spotted this all a lot earlier if this had happened in the UK. I guess with travelling, you’re moving from place to place and in countries with very different environments to what you’re used to so maybe it’s harder to spot. I had also spent the last few months in some very high altitude countries which had affected my breathing and tiredness levels, so it was difficult to spot something else might be the cause. So here we go, after 10 and a half months of amazing travels to 14 beautiful countries, here is my last country blog from this trip. I had taken a flight from Sucre via Santa Cruz in Bolivia, onto Buenos Aires, internal flights in South America are super expensive and this cost around £240. I had met a friend previously in Chile, called Helene, who had been travelling long term as well. We had decided to meet up again, as luckily we were both wanting to see Buenos Aires and Helene was already in Argentina. We rented an Airbnb apartment which was really cool, especially to have our own space and time to chat and catch up, we ended up spending 10 days together in Buenos Aires. Me, Helene and Chiary in BA. I found Argentina fascinating, along with many other South American countries is has had a long and sometimes tumultuous history. However what I noticed most about Argentinians was their passion for their culture and history, I guess this is similar in most South American countries but the mix of so many different cultures was very apparent here. Buenos Aires was such a cool, trendy city, with lots of attitude, culture, beautiful architecture and museums. I found most Argentinians spoke english too which made it a little easier compared to other South America countries. It was also quite a culture shock from Bolivia as Buenos Aires has a much more European feel about it due to its early Spanish and Italian settlers, influencing the food, music, culture and architecture. The city has lots of amazing buildings such as the famous old theatre, the El Ateneo Grand Splendid which is now a beautiful library. 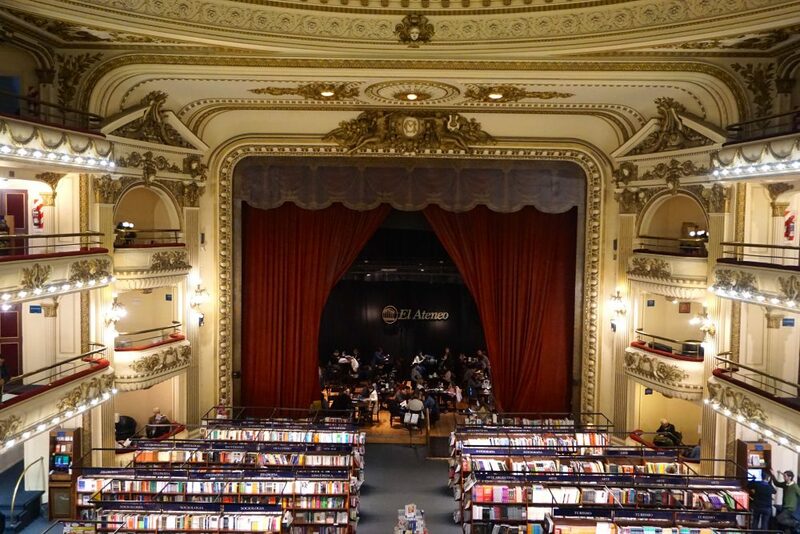 El Ateneo Grand Splendid, magnificent library in Buenos Aires. 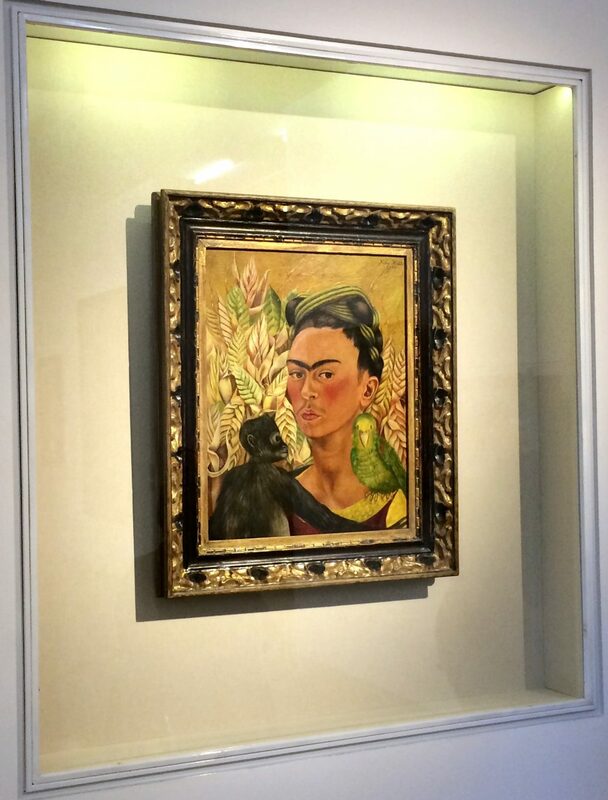 Frida Kahlo at the Malba museum. 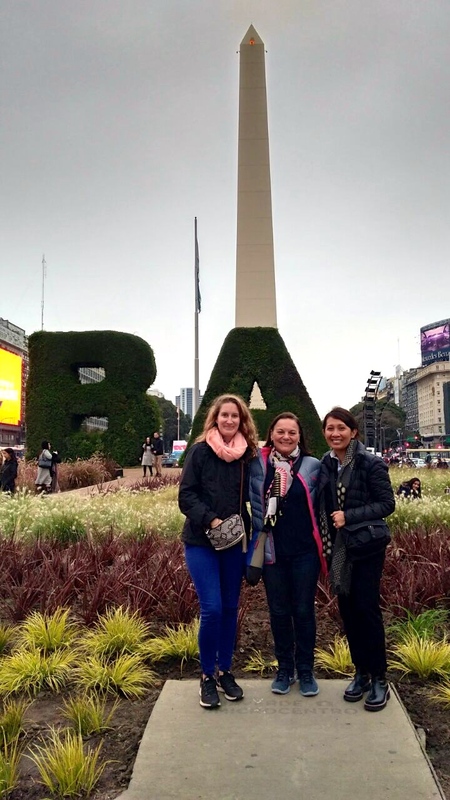 We did lots of walking and exploring in Buenos Aires and also met a friend of Helene’s, who lived in Buenos Aires so it was great to have a ‘guide’ in the city. I visited a few museums such as the Museo de Arte Latinoamericano de Buenos Aires or Malba, which is the modern art museum and holds work from artists all over Latin America, such as Frida Kahlo. 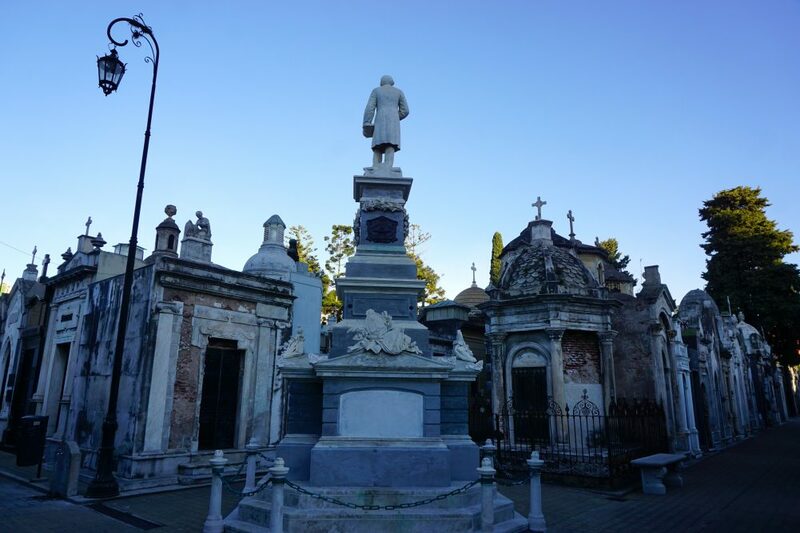 Another highlight for me was visiting La Recoleta cemetery in the Recoleta neighbourhood. It’s a beautiful cemetery right in the centre of Buenos Aires, which contains the graves of Eva Perón and various presidents of Argentina. It was even named one of the worlds best cemeteries and named by CNN as one of the top 10 most beautiful in the world. 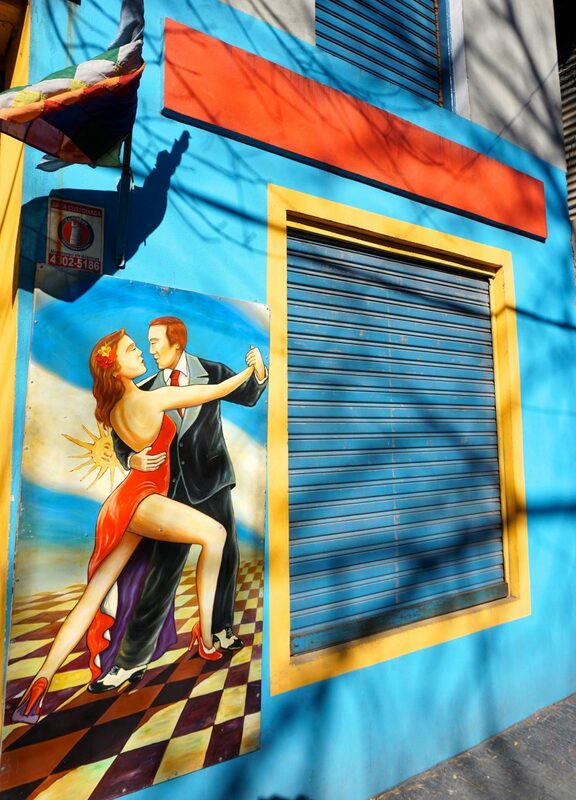 We also of course couldn’t miss out on visiting a Tango hall in the neighbourhood San Telmo. Tango was born on the streets of Buenos Aires and Montevideo in Uruguay. It apparently originated in the 1880s in the lower-class districts and has slowly spread through-out the world. It is believed to have started on the streets of La Boca a famous neighbourhood in Buenos Aires. Of course trying to find a good Tango hall was a little daunting as there are so many of them, but we managed to find one which included our wine and dinner (most of them seemed to offer this). 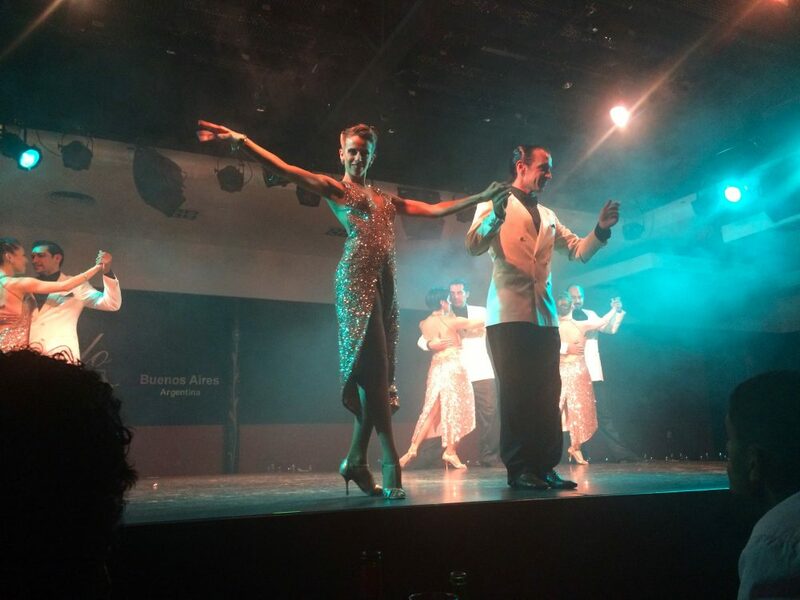 It was beautiful to watch the show and see these amazing dancers and hear Tango music. 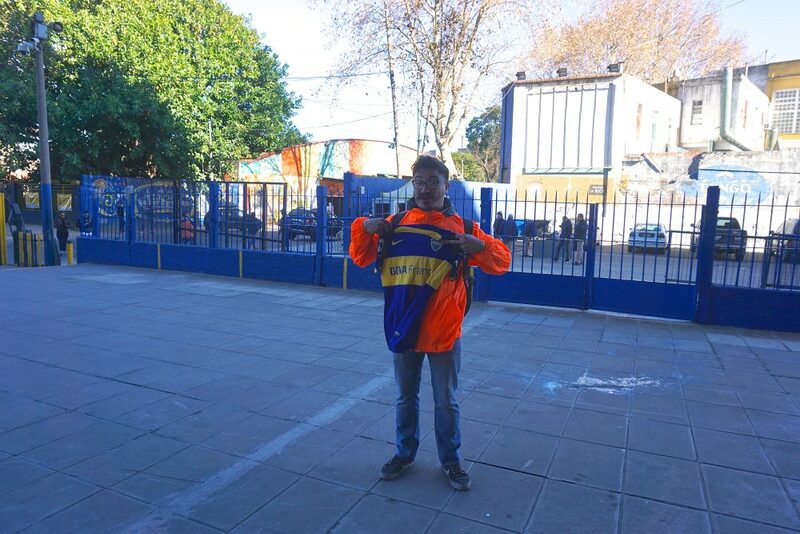 Our tour guide around La Boca with a Boca Juniors football shirt. 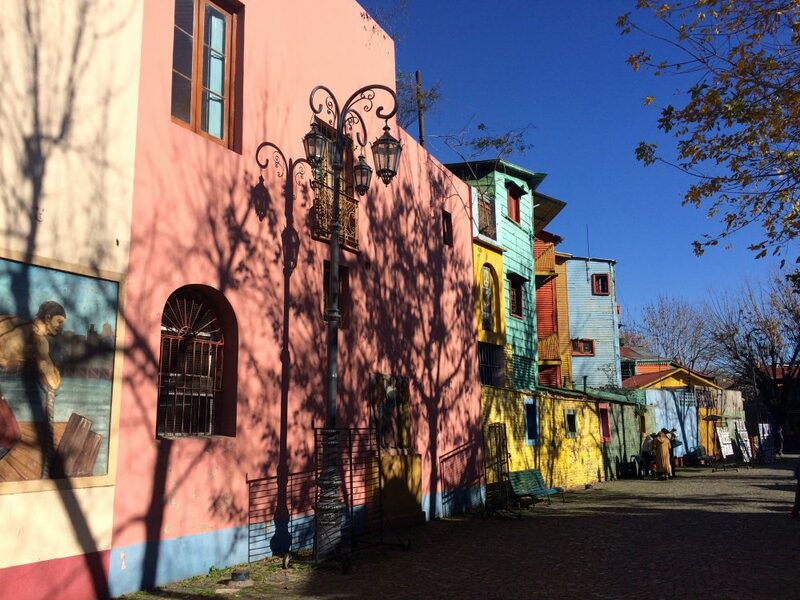 Another highlight of mine in Buenos Aires was taking a 3 hour walking tour in the barrio or neighbourhood of La Boca, I did this with Free Tours in Buenos Aires who were fantastic. The guy who lead the tour was very passionate, it was his last tour, so at the end we all got to try some of the famous Fernet and coke (a very popular spirit drank in Argentina brought over by early Italian settlers). He also spoke passionately of his love of La Boca the local football team, who are world famous. He told us Argentinian men love football more than anything else in life and spoke of the passion they have of the game (as with many other South American countries). 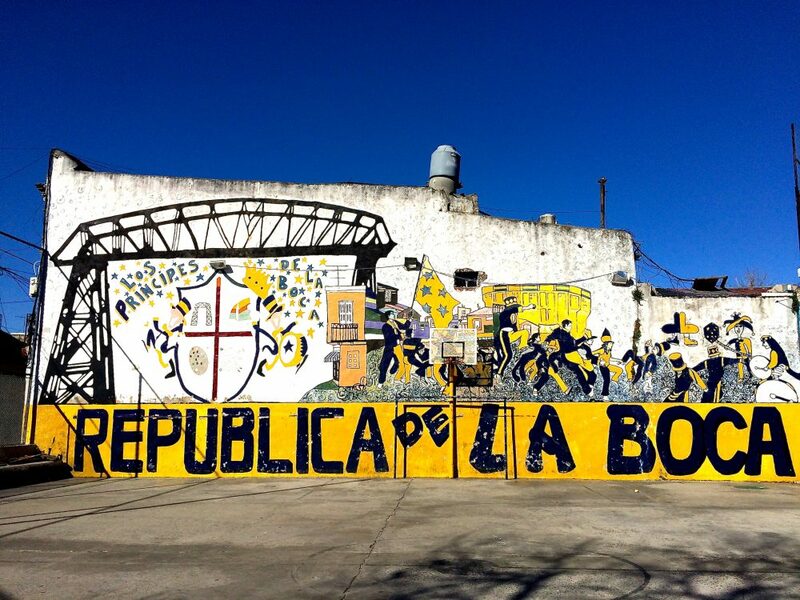 There is also a fierce rivalry between La Boca and River Plate the other Buenos Aires well renowned football club. It is seen as one of the fiercest and most enduring rivalries in football teams in South America. 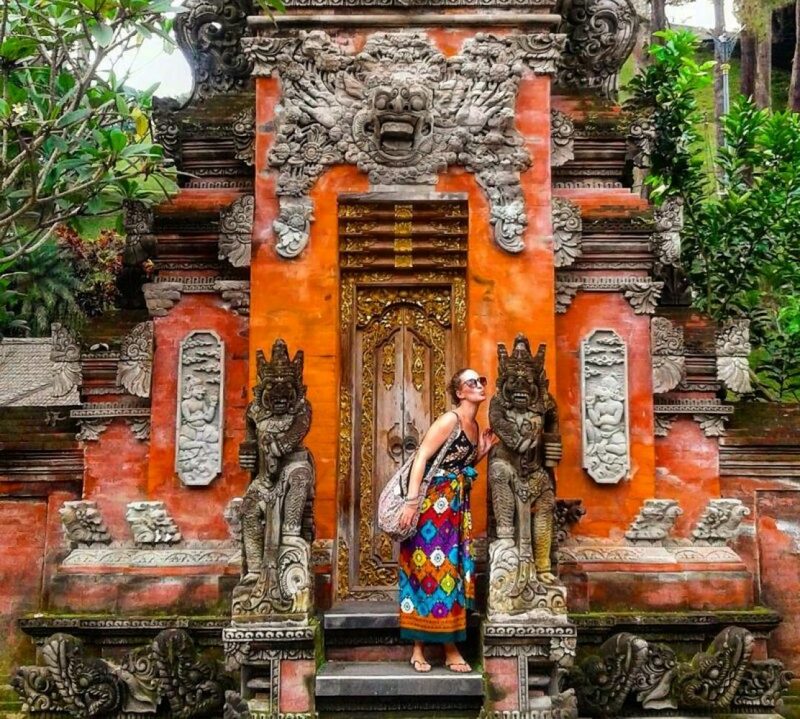 It was one of the best walking tours I had done! 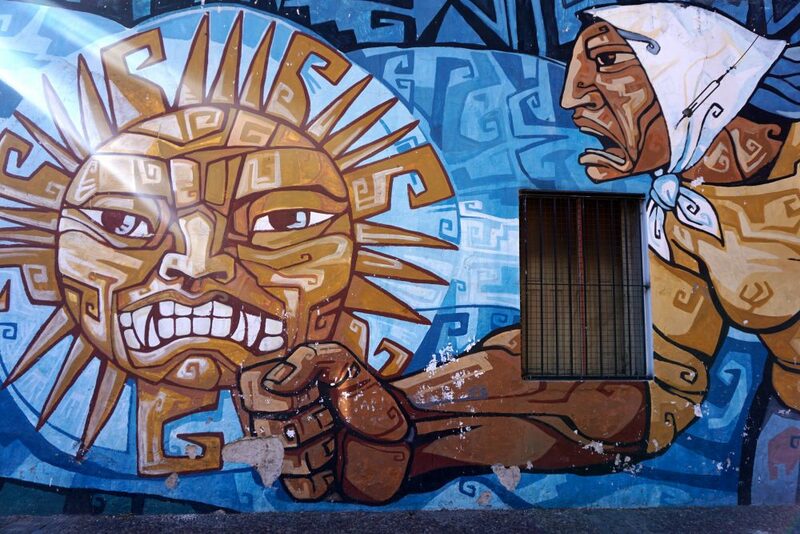 Amazing street art in La Boca. La Boca is also famous for its colourful streets, the Caminito street (where Tango is supposed to have been born), La Boca football stadium, and its strong Italian influences from early settles from the city of Genoa. It was also good to do a walking tour through La Boca as its still a fairly poor neighbourhood and there is still apparently a lot of petty crime in the area, so it was great to have a guide. It has become a little touristy this area, but it’s definitely still worth visiting and really was my Buenos Aires highlight. It really gives you a true sense of Argentina and the real heritage of Buenos Aires. 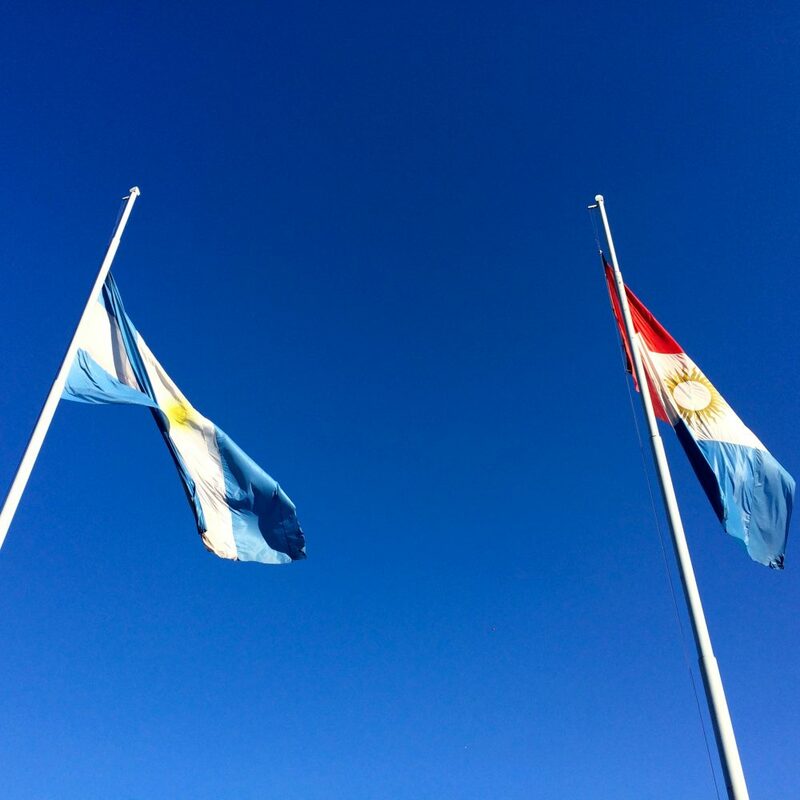 Argentinian and Córdoba city flag. From Buenos Aires, I flew onto Córdoba which is about 700km away and is the second most populous city in Argentina. I ended up staying here until the end of my trip and stayed with a friend, Mauro, who I had met in Chile at the same time as Helene, he studied and now works in Córdoba. Córdoba is such a fun city, it has a huge student population and is home to the second oldest university in South America. I relaxed here as there is great nightlife, cool cafes, cinemas, shopping, nice parks and museums to visit. 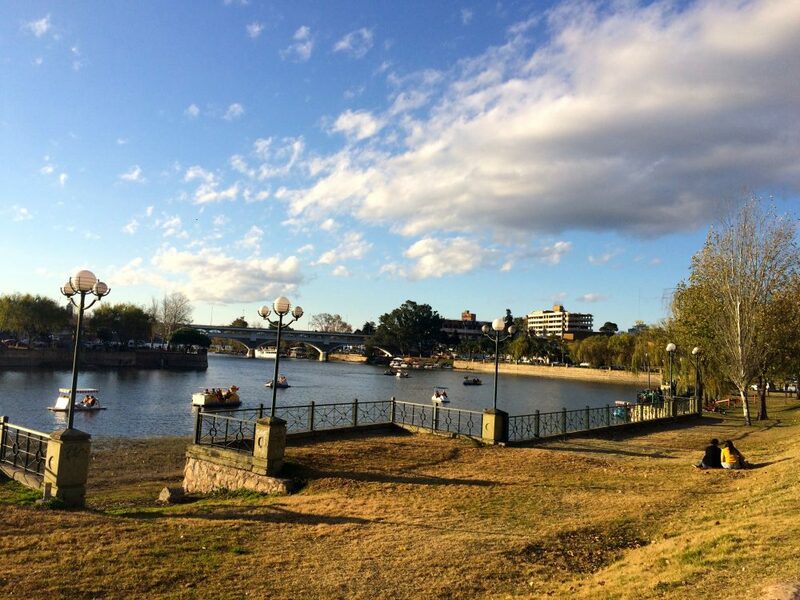 I also visited a town outside the city called Villa Carlos Paz, which is a tourist destination for locals. So going back to the saga of my back, in Buenos Aires I had been to hospital and again been told it seemed to be a muscular problem so was given different muscle relaxants to take for a week. However this hadn’t helped with the pain and once I arrived into Córdoba I knew I would have to look into this all more deeply as it was starting to affect me carrying my bags and I was feeling tired and in pain…not so good for my further planned 6 more weeks of travelling! Luckily I had really good travel insurance and looking back on it, I was very lucky to be in this situation and with someone who spoke spanish when I was going through this. After a few weeks of going back and forth to a private hospital (which my insurance company paid for) I finally found out I had something called a pleural effusion which is a build up of liquid underneath the lungs. I had mentioned before of having a chest infection in Asia and feeling unwell in Bolivia so they started to piece it all together and realised it was a problem with my chest and lungs and not muscular. Even though I knew someone in Córdoba, it was a weird situation to go through without family and friends around me. The language barrier and different culture was hard and at times I found it hard not knowing exactly what doctors were talking about, even though they did exactly what a doctor would have done in the UK. But I guess being so far away from home felt lonely, especially as initially I didn’t want to worry my family or friends. To cut a long story short, I was finally deemed ‘medically unfit’ to travel further which meant my insurance company would pay to send me home and get this all figured out properly. I went through a lot of different emotions over this, I think mainly because I wasn’t ready to come home and it felt hard to accept my trip would end like this. However in the end, I was spending my precious travel money and the doctors didn’t really know for sure why I had this and were worried I may carry on travelling and something worse could happen. 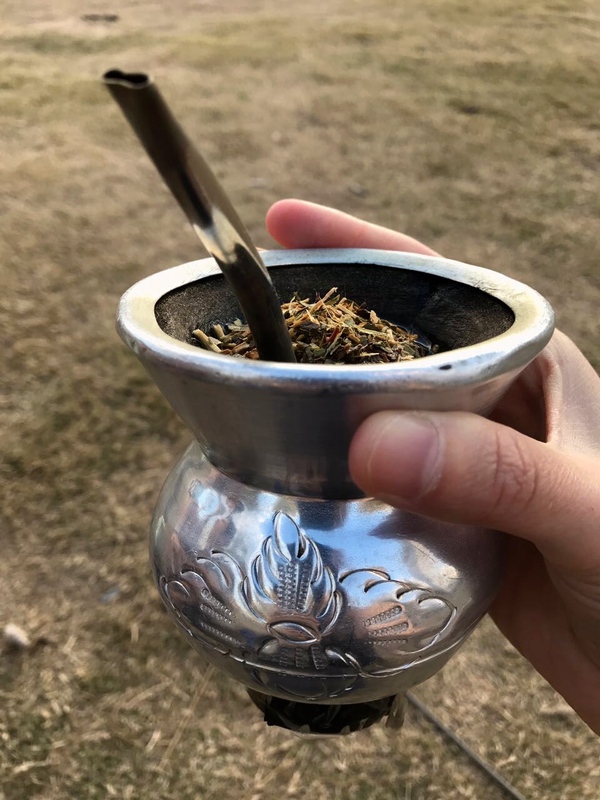 Mate beverage famous in South America. I left Córdoba on the 14th July and it felt really strange and sad to leave South America and Argentina and finish my ‘big’ trip! It also felt weird to leave Córdoba, as it had become a little bit like home, I had been taking spanish lessons, going out to music festivals and of course drinking a lot of Mate ( a traditional caffeine enriched drink), good Argentinian wine and food (Empanada’s had become a favourite). I had been here for 3 weeks which is the longest time I had been in one place on my whole trip. So leaving it all, felt sudden and strange, but I was excited to go home and catch up with my family and friends. It was a pretty big culture shock coming back to the UK, especially still being ill as well. I have lived and worked abroad before so I knew some of the highs and lows I would go through. It was hard though coming back and having to go in and out of hospital. I was later diagnosed with something called Legionnaires Disease, which the doctors think I picked up somewhere along my travels and had caused my chest infection and pleural effusion. It’s quite rare and is found in water sources, usually in bad air conditioning units. I have no idea where I picked it up from, however I knew I was so lucky to have been home and to have the NHS to come back to who were superb. I have now been back for 2 months now and of course I miss travelling, especially that feeling of complete freedom and independence. But being home of course has many highlights, apart from seeing family/friends there are the little things like a comfy bed and not having to plan every day, share a room with 8 people or spend hours on night buses! I look back on my travels with complete happiness and no regrets, it was undoubtably one of the best things I have ever done. I have learnt a lot about myself but mainly been lucky enough to visit some amazing countries and meet some truly unique people with inspiring lives and stories to tell.